Blue in Green by Miles Davis contains a lot of upper extensions and alterations in the melody which makes it a perfect tune for applying upper structure triads. We work through the whole form and apply upper structure triads to all of the dominant chords in the progression. 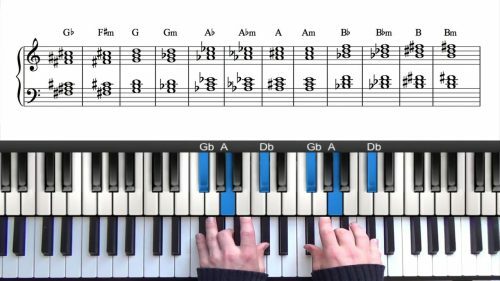 Before watching this lesson you should have watched the introduction lesson on upper structure triads so that you understand the construction and application on these voicings. 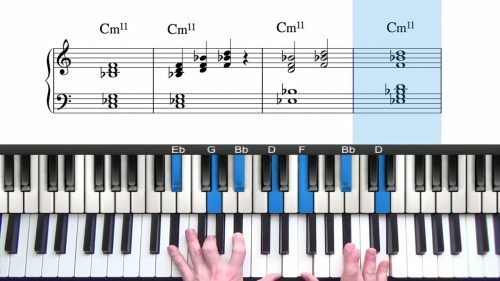 You may also find it helpful to watch the Part 1 of Blue in Green where we look at the basic harmony of the tune and touch upon upper structure application. I'd highly recommend that you print off the upper structure triad cheat sheet and stick this somewhere close to your piano/keyboard for easy reference. 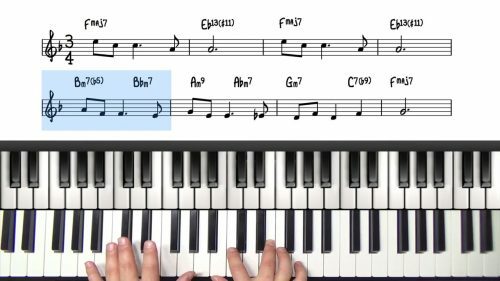 When you come across a dominant chord on a lead sheet, identify the scale degree of the melody... is it an upper extension or alteration? If so... chances are you can find a great sounding upper structure voicing. It's through this process - of analysing the melody note and then finding a suitable voicings - that you will gain a deep understanding of upper structure triads and how to apply them to the tunes you are playing.